Four side loading options…..Five container options….All in one unit. 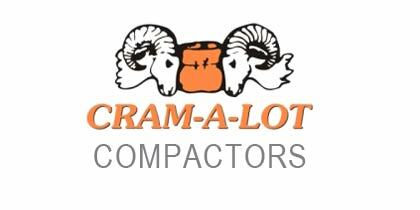 Available with 3,4,5 6, and 8 yard container capacities. User friendly and very safe. 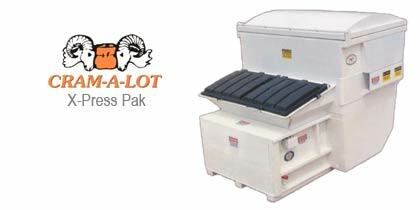 The easiest compactor, saves space and eliminates the mess of multiple front load containers. Ideal for restaurants, fast food locations, shopping centers, supermarkets, hospitals, schools, nursing homes, and hotels. Simple install. Load it from the ground, off a dock or through the wall. 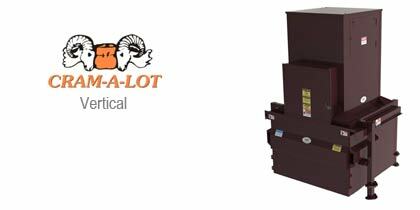 19.6 Ton force crusher allows you to profit from recycling and eliminates disposal costs. A six to one compaction ratio saves valuable storage space. 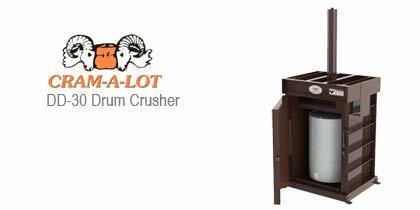 Great for areas with lots of drums to crush but with limited storage such as mine sites, small communities, etc. Saves up to 1/3 in space yet accommodates up to a 6 yard Front Load Container. User friendly and safe.